Henshaw, John L., head-of-household, age 26, born in Colorado; father born in Indiana; mother born in Kansas; first married at age 23; rented home ($25 rent); no radio in home; occupation: buyer, lumber mill co.; not a veteran. 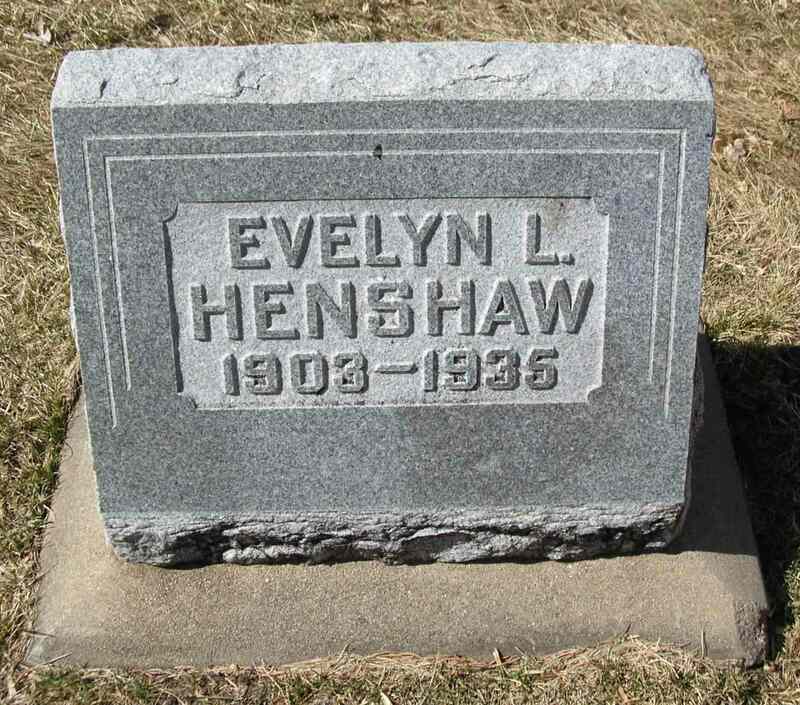 Henshaw, Evelyn L., wife, age 26, born in Colorado; father born in Sweden; mother born in California; first married at age 23. Henshaw, Gladys M., daughter, age 1 year 3 months, born in California; parents born in Colorado. Evelyn's death was reported in the "Los Angeles Times" (Los Angeles, California) on December 4, 193517 (see scan below). He then married Virginia Christina Houston, Aug 18 1938, Denver, Denver County, Colorado.1,7,18 Virginia, daughter of John William Houston & Elta Belle Knapp, was born Jan 24 1914, Humansville, Cedar County, Missouri.4,10,11,18,19 Marriage solemnized by minister Cecil Eugene Hinshaw1 (John's 3rd cousin once removed). Henshaw, John L, head-of-household, age 36, born in Colorado; completed 4 years of high school; on Apr 1 1935 was living in Los Angeles, California; rented home ($32/month rent); occupation: insurance salesman, private office. Henshaw, Virginia, wife, age 26, born in Missouri; completed 4 years of high school; on Apr 1 1935 was living in the same place/city. Henshaw, Gladys M, daughter, age 11, born in California; completed 5th grade; on Apr 1 1935 was living in Los Angeles, California; attended school. 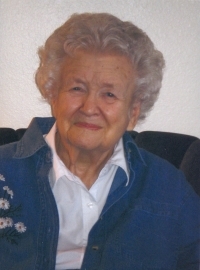 Longtime Delta resident, Virginia Christina Henshaw, passed away on Tuesday, January 15, 2008. She was 93 years of age. Memorial services will be held at 11:00 a.m., Tuesday, January 22, 2008 at the Presbyterian Church of Delta, with Pastor Bill Forbes officiating Virginia was born January 24, 1914 in Humansville, Missouri to parents John William and Elta Belle (Knapp) Houston. 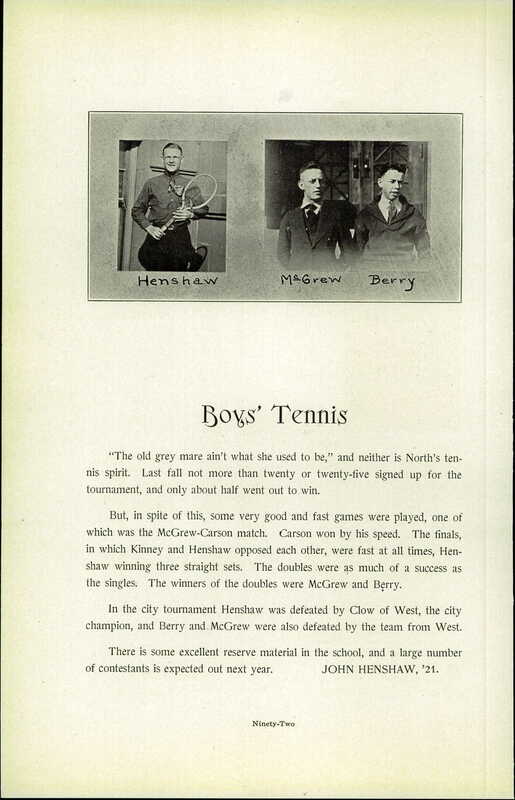 The family moved to Greeley, Colorado and then to Denver, Colorado where Virginia graduated from North High School in 1932. In the midst of the Depression, she considered herself lucky to immediately find a job in women's dresses at Neusteter's, a department store in downtown Denver. On August 18, 1938 she married John Lawrence Henshaw in Denver. In 1944 John and Virginia moved with two daughters to Delta where they managed and eventually owned the Grand Mesa Lumber Company, located at 111 West 3rd Street. Besides being a homemaker, Virginia worked with her husband at the lumber yard until they sold the business in 1974. Virginia was a Convinced Friend (a person who is not born to Quaker parents), but because Delta did not have a Quaker Church the family attended the Presbyterian Church. She taught Sunday school and was involved in the women's groups. Virginia was instrumental in starting the Delta County Museum and researched and wrote many histories for organizations and businesses in Delta. She was a member of the Woman's Club of Delta and for several years had been writing a history of the Delta Public Library funded by philanthropist, Andrew Carnegie, and the Woman's Club. She was a member of P.E.O., Chapter BK, for 55 years; Chi Chapter of Beta Sigma Phi sorority; Colorado West Doll Club; and numerous bridge clubs. Virginia served on the City of Delta Planning Commission in the 1950's and voted for at least eighteen Republican Candidates for President of the United States, serving as Precinct Chairwoman and Election Judge for many years. Because of her creative abilities to plan, design and organize she held many positions in a variety of organizations. Virginia is survived by her daughter, Joan E. Henshaw of Westminster, Colorado and step-daughter, Gladys M. (Keith) Miller of Grand Junction; her granddaughter, Meredith A. Miller of Grand Junction and grandson, Stephen W. (Stephanie) Miller of Glendale, Arizona. Her sister, Frances P. (Adam) Schlagel of Aurora, Colorado also survives. She has two great grandchildren and five great great grandchildren living in Arizona. Also, numerous nieces and nephews. Preceding her in death, are her parents, husband, brother, Joe Birton Houston and her sister, Elta LaVerne Edmonds. Memorial Contributions may be made to the Delta County Historical Society, 251 Meeker St., Delta, CO 81416 or Charity of one's choice. Arrangements are under the care and direction of Taylor Funeral Service and Crematory. View the internet obituary and sign the online guest registry at taylorfuneralservice.com. 1930 census, Los Angeles, Los Angeles County, California; roll T626-149, ED 445, page 2B, line #82, dwelling #137, family #141. 1940 census, Denver, Denver County, Colorado; roll T627-484, ED 16-29, page 6A, line #34, household #148. Obituary of Virginia (Houston) Henshaw. 1910 census, 4237 Umatilla Street, Denver, Denver County, Colorado; roll T624-115, ED 79, page 2A, line #48, dwelling #35, family #35. 1920 census, 4237 Umatilla Street, Denver, Denver County, Colorado; roll T625-159, ED 120, page 11A, line #4, dwelling #261, family #274. "Los Angeles Times", Dec 4 1935; http://www.ancestry.com.